Directions for use: Apply to clean, dry leather (Belvoir recommends using Belvoir Leather Cleaner Spray Step 1 first). Leave on for ten minutes to penetrate, then shine with a soft, dry cloth. Not suitible for aniline, untreated leather, suede, or nubuck. Test on small area before use. 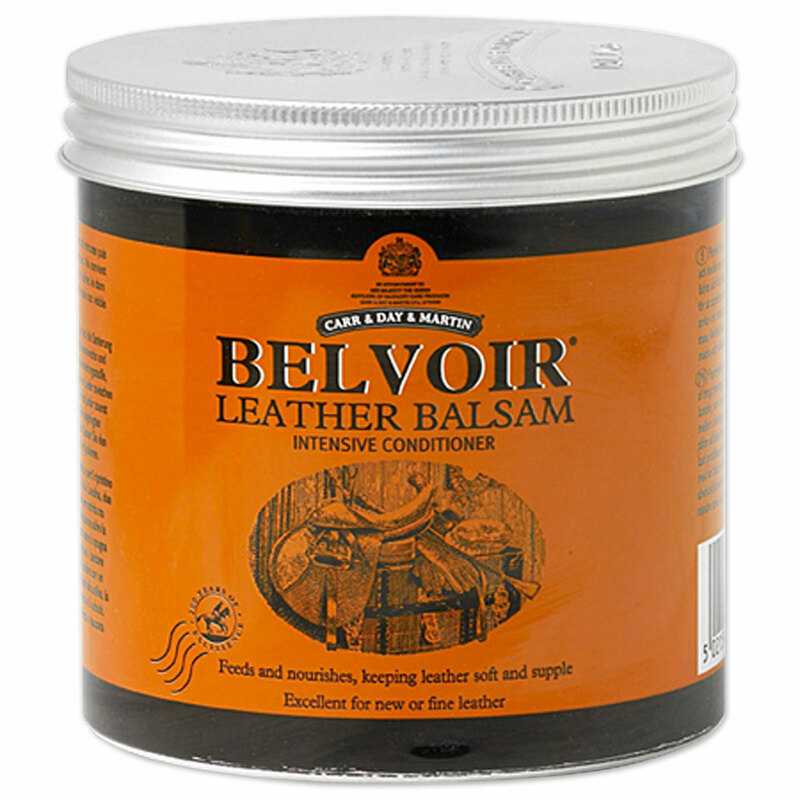 Belvoir Leather Balsam Intensive Conditioner is rated 5.0 out of 5 by 6. Rated 5 out of 5 by Emma from Best Conditioner Ever! I borrowed my this conditioner from my friend, and am in love! Made my bridle and saddle softer than they have ever been! It is 100% worth the money! Rated 5 out of 5 by mcoleman from You need this!! The best product out there by far for leather conditioners. It is slightly tacky, which is awesome for my saddle when riding. It makes tack look beautiful. MUST have! Rated 5 out of 5 by Shana from Smells good and conditions great! I have always used this conditioner, it works better, and smells better than any other. Rated 5 out of 5 by Seaside from Must Have I tried this because most people in my barn use it. It is a heavy oil I use to soften and darken new tack. I also use it every 3 months on my saddle. The best I've ever used. Smells great too. Rated 5 out of 5 by Dandog from Great product! Have used this in the past and have not seen it for a while. It is great for your leather. Works so well, makes it look like new. So glad to find it again. A little goes a long way. Rated 5 out of 5 by rlr02 from Great gift! Received this as a birthday gift and I'm so pleased! Not only does this conditioner smell AMAZING but it will help soften and supple. The consistency is a bit thick, Vaseline like and tacky. I would say using less is more with this product. But its helpful for new and old leather, I'm totally hooked!